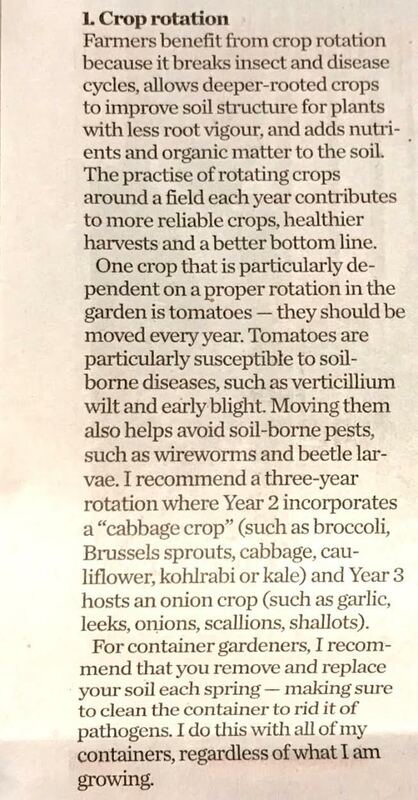 I’m not sure “crop rotation” applies to small garden beds, especially when they are tightly spaced as in OGCG, but the principle holds true: you can’t plant the same thing, year after year, without depleting key nutrients those plants need and increasing pests and diseases associated with those plants. This article will be updated and expanded in the near future. Also, an article on garlic pests will be developed (garlic needs rotation of at least three years). Before you throw those weeds on the ground consider that some are more tasty and nutritious, not to mention grow more readily, than the very plants you are helping to grow. Here we can consider three common edible weeds people probably already know about, and three lesser-known plants. you are not going to find a similar plant that is going make you sick. If you want to start slowly on these, or if you only have a few to work with, just add some to your regular leafy vegetables. 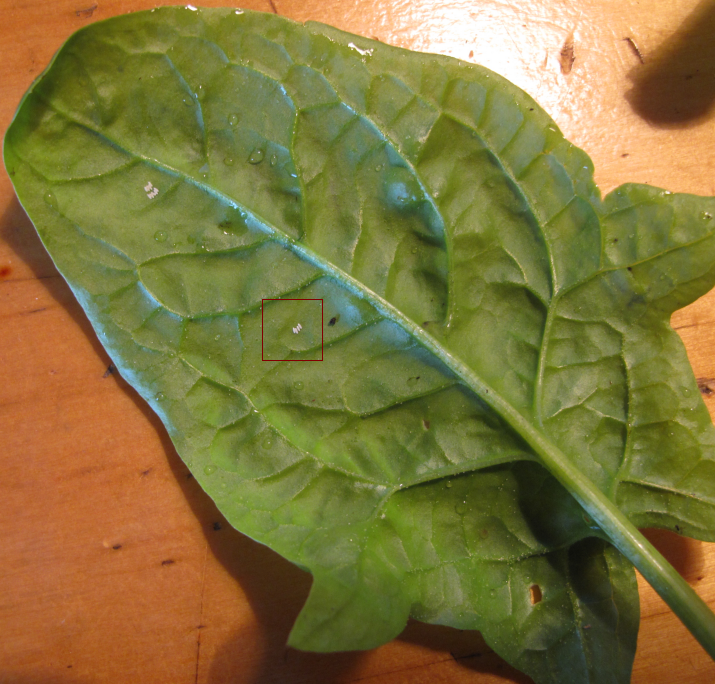 Anyone growing spinach or chard (or beets potentially too) should be on the look-out for leaf miner, that little maggot that burrows into the leafs creating little tunnels and eventually large dead splotches on the leaves. The miner is the larval stage of a fly and the adult fly is hard to control so focus on the eggs and larvae. Last year was a bad year for leaf miner and this year is shaping up to be another bad year for spinach. 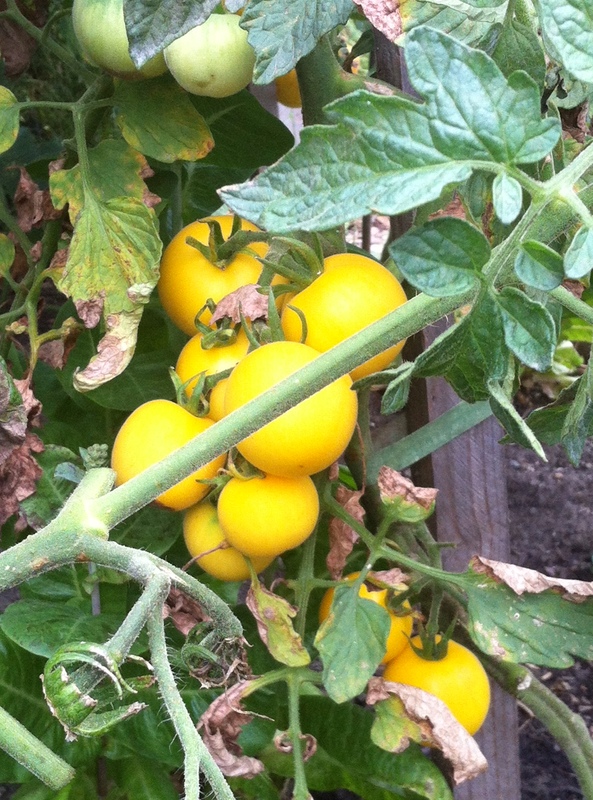 Gwen shared so much great information last week that this post will focus on tomatoes. We’ll get to the pests another time! A tour of the plots revealed an impressive variety of heirloom and traditional tomatoes of all sizes and shapes and hues. Sadly, a number of tomatoes have blossom end rot. The name says it all – the bottom of the fruit turns black and it rots away. There are different theories as to the cause: a lack of calcium is one. According to Gwen, Ontario soil typically has good calcium levels – except in drought conditions. This has been a tricky year, weather-wise, and the tomatoes reflect that. If your tomatoes have blossom end rot or blight (small black spots on the skin), you must take away the affected fruit. Put them in your green bin, don’t compost them. See below for fertilizing tips that may help prevent these conditions. Don’t be concerned about yellow leaves; they show the plant’s energy is going to the fruit. Prune some leaves to allow air to flow around the fruit, but remember that leaves also protect tomatoes from harsh sunlight. Prune all stems and suckers below blossoming and fruiting stems to allow more light and energy to reach the plants’ fruiting parts. Suckers can produce fruit, but they diffuse the growing energy. Epsom salts = magnesium sulfate and is a good mineral supplement. Add 1/2 cup Epsom salts to 1 gallon of water. Fertilize with this weekly if your plants are affected by blossom end rot and/or blight; otherwise, use once or twice per growing season. Next spring, use this at planting time as a dry side dressing: about 1 cup per small garden plot, with 1 tbsp in the planting hole. Fertilize weekly: Use 5-10-10 NPK. Kelp is an excellent fertilizer, also fish emulsion. Crushed egg shells are also effective, but raccoons love them, so beware! Water, water, water! 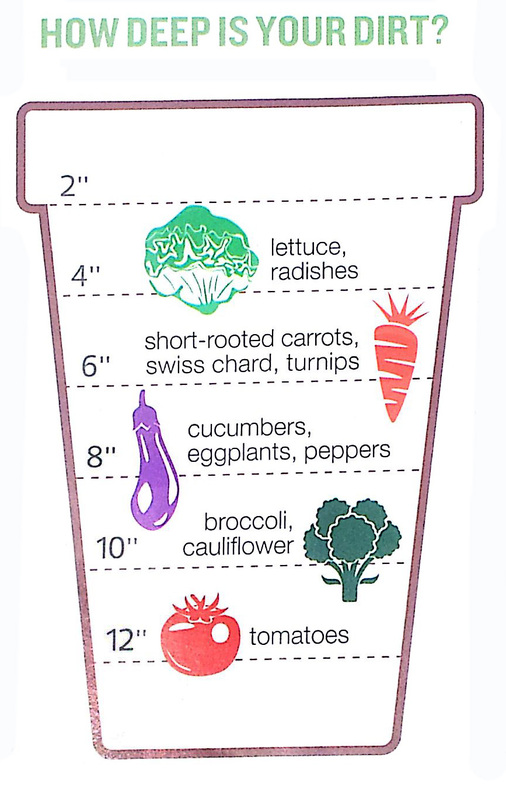 Visit your plot three times a week and water as needed if the soil 2 inches down is dry. Water at the base of the plant. Avoid wetting the leaves, as this can promote disease. Mulch is vital. Put down 1-2 inches of compost, straw, shredded damp newspaper (there’s another use for your paper shredder! ), even a thin layer of sawdust. Don’t let mulch touch the stems of plants. When pruning a plant that has disease, be sure to clean your clippers before moving on to another plant. Gwen stocks up on small disinfectant wipes for this purpose. When choosing tomato varieties, look for ones with the initial V, F, N or T. This means they are tolerant to verticillium wilt, fusarium wilt, nematodes or tobacco mosaic virus. I think that captures last week’s tomato talk. Thanks for sharing your knowledge, and your notes, Gwen! Happy gardening, everyone! The gardens are looking lush and lovely. Good-sized green tomatoes can be seen in many plots and there’s a beautiful patch of Triffids-like dill! But, as our Master Gardener Gwen pointed out on Wednesday evening, watering is going to be crucial to veggie success. Oakvale’s location at the top of a rise means a hearty north wind blows the soil dry, fast. There has been some good rain, but it hasn’t been frequent enough to allow us to leave the watering cans idle. Gwen had some great mulch tips, as well, which I’ll share in another post soon! Plug “vegetable gardening tips” in a search engine, and in 0.16 seconds you’ll have more than 4 million results to choose from. How do you, er, weed through this bounty and land on information sources that are right for you? 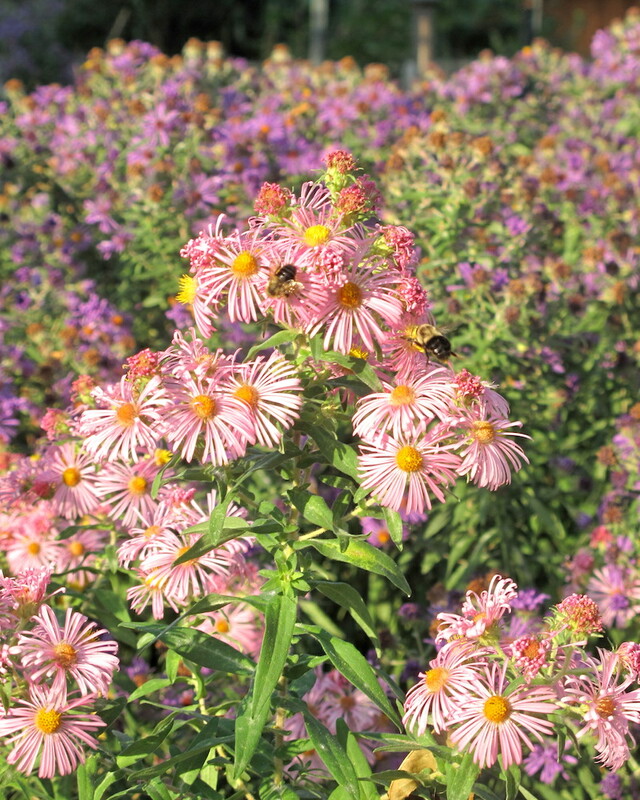 Everyone’s different, and every gardener has different experience and goals and ideas about what makes a good garden. Sometimes tips land in y0ur mailbox – like this handy graphic showing ideal dirt depths for different crops (thanks, Nicholas!). Here are a few sites I’ve consulted (I’m a novice so you pros might not find much of interest), and a few random selections. Growveg.com has an interactive vegetable garden planner that takes your garden design and provides you with a calendar of when to plant. There is a fee, but you can try it free for 30 days. Martha Stewart‘s site offers suggestions for starting seeds, planning and planting gardens and, of course, for making it all look simply fabulous. Our own Canadian Gardening is brimming with suggestions. Currently there are 62 different articles on fruit and vegetable gardening on offer, with more on herb, container, indoor and water gardening. This one I like for the writing and the sheer energy and hard work behind the project. Ladybird at Home tells the story of a new community agriculture resource in the West Midlands, UK. 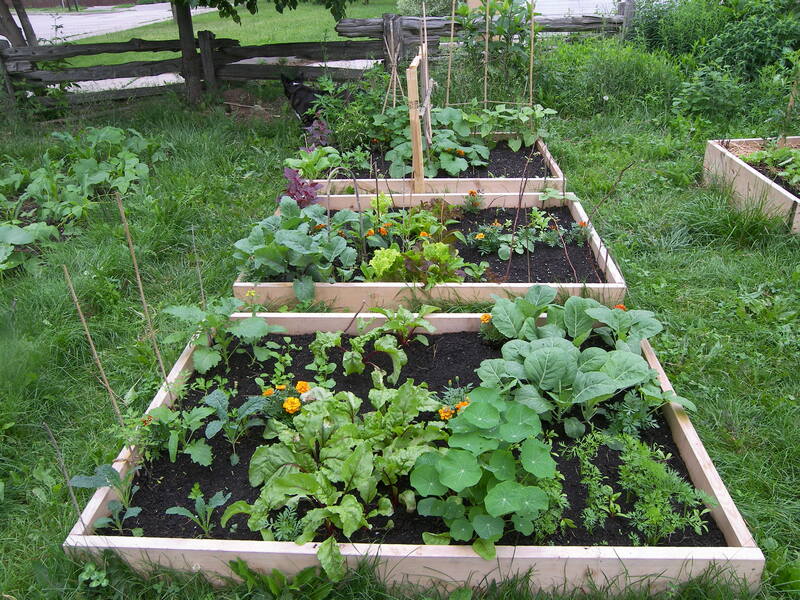 Allotments are part of it, so there are some great tips and links. The Guardian’s Gardening Blog is always entertaining and informative. Heck, the whole Gardens section is a winner! Interested in composting with worms, or setting up a compost box right in your kitchen? Check out Wiggly Wigglers for information, tips, products. Their award-winning podcast is worth a listen, too. If you’ve got an interesting site to share, please do so via the comments!